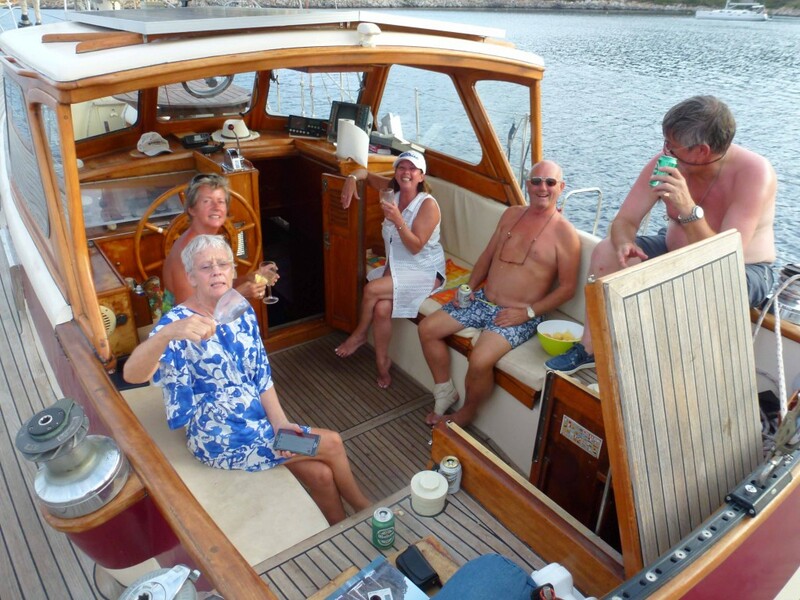 We departed Marina de Denia early on Wednesday 7 Sept on Tony and Julie Benneworth’s 60’ ketch, S/Y Royal Atenea, for a week’s cruise to Cabrera Island (south of Mallorca) and Ibiza. 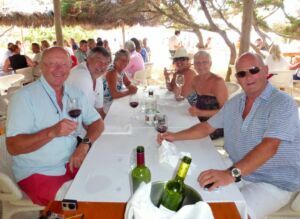 The rest of the crew comprised their UK-based friends, Jackie Carter and Iain Lorraine, Gillian and myself. On our departure, the wind was light, and on the nose, so we motor-sailed most of the way to Ibiza, arriving just before sunset at Cala Lunga, on the west side of the island. We spotted two pilot whales on the surface on the way over. 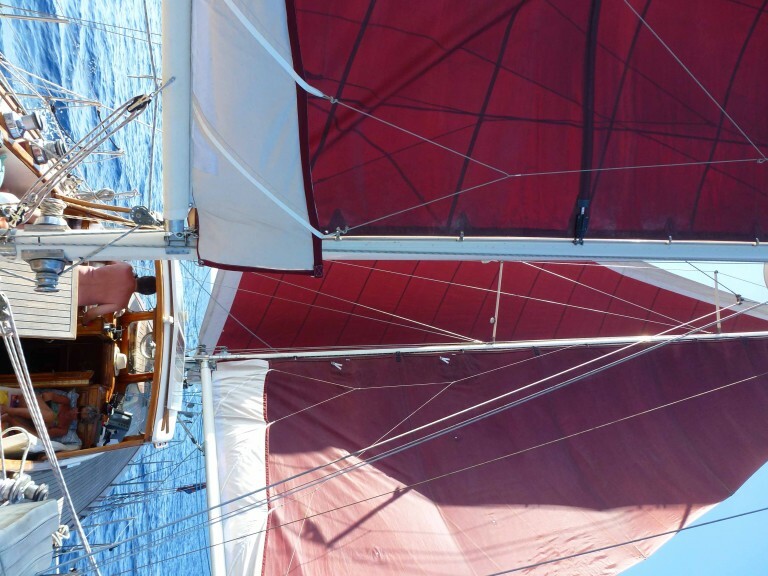 The next day the wind was still light and easterly, so we again motor-sailed – the trip from Ibiza to Cabrera Island taking most of the day. We joined around 30 other yachts in Cabrera harbour just before sunset. 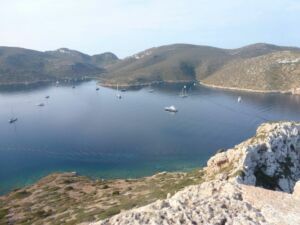 Cabrera is a nature reserve and a special permit is required to stay overnight – which we obtained for three nights as we planned to do some scuba diving. The next day Tony, Gillian and I prepared our scuba diving equipment, partially geared up and lowered the dinghy to transfer from the yacht to the harbour jetty to meet the Aventura IB dive boat as it arrived from Mallorca at 1100 hours. 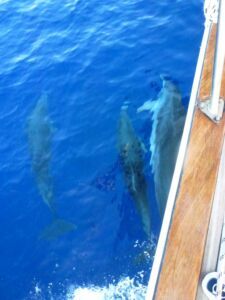 We met a young German couple on board who were also diving with us. After gearing up, the dive guide, Adrien, gave us a dive briefing on our first dive at Cabo Llebeig, about a 10-minute boat ride from the port. After sorting out a few buoyancy problems, we enjoyed a pleasant dive seeing barracuda, fusiliers, wrasse, garoupas, etc. We returned to the port for a surface interval and lunch on board Royal Atenea, before heading out for our second dive at Cala Galieta, slightly further from the port. This dive was less interesting than the first as we spent quite a long time looking for a large school of barracuda in the deep blue (which we did not find due to poor vis). However, later Gillian made friends with a large garoupa which was fascinated by her white gloves – tried to bite a finger – and followed her around closely for the rest of the dive. Unfortunately didn’t take the Go-Pro! 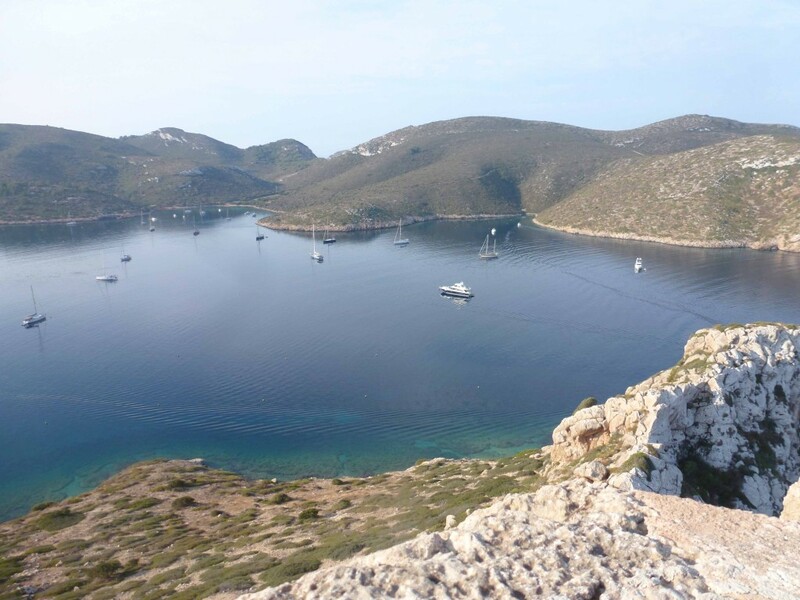 Since none of the rest of the crew were feeling very energetic, I took the dinghy ashore early the next morning and climbed to the top of Cabrera castle where I enjoyed a great view of the harbour. The rest of the day was spent chilling before going ashore for drinks and tapas at the sole (expensive) hostelry on the island. Jackie and Gillian climbed to the castle. We left early the next morning for a glassy, windless crossing back to Cala Portinatx on the north side of Ibiza, seeing five pods with around 20 dolphins on the way over, including babies. Having to dispose of the rubbish justified another trip ashore by the fellas and the obligatory drink or two on arrival! 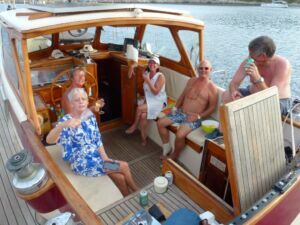 On the sixth day we finally found a decent breeze and enjoyed a great sail down the east side of Ibiza to our final anchorage at Cala Torrent, stopping briefly at Marina Ibiza on the way to refuel. On arrival at Cala Torrent, we went ashore for a few sundowners and to book our (very expensive) lunch for the next day, at Restaurante Es Torrent. 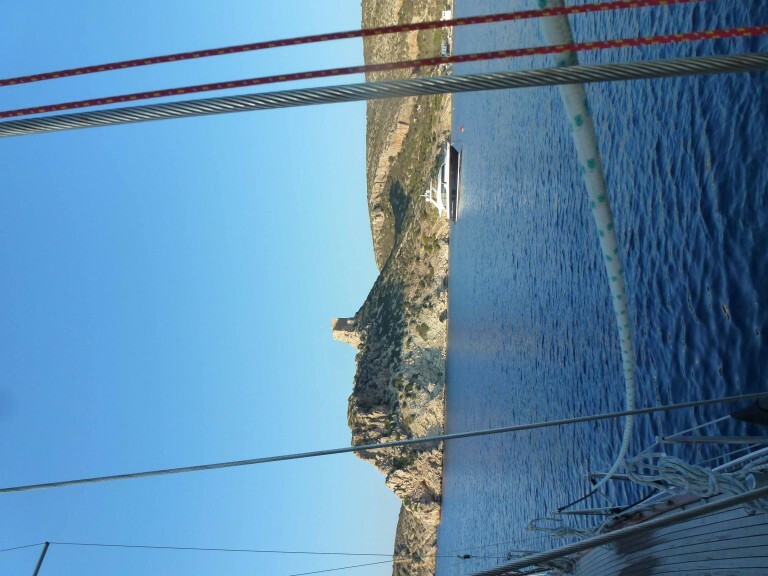 Our last day at Ibiza was spent snorkeling before returning to the restaurant for a great lunch, followed by a much-needed siesta back on board. 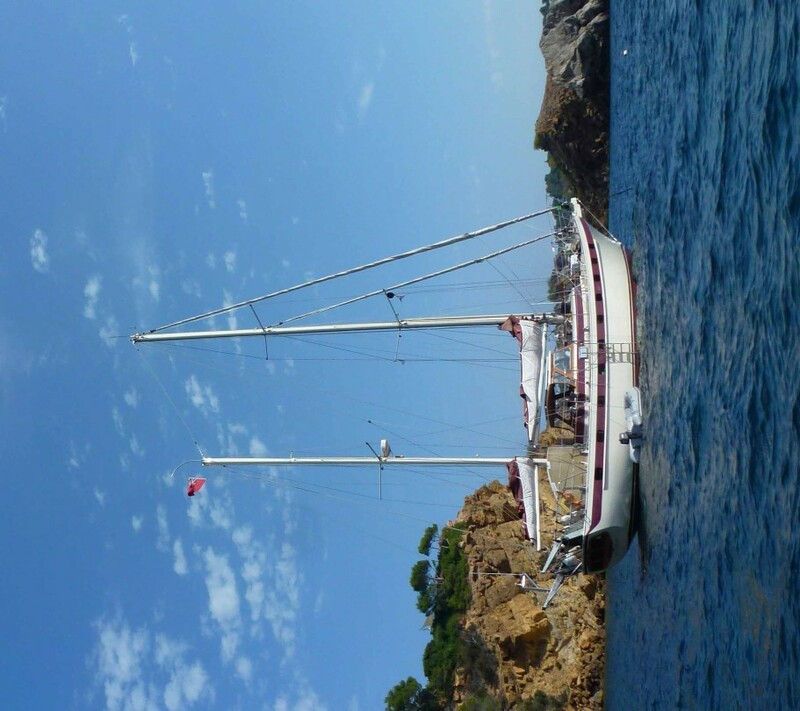 Weather forecasts predicted worsening conditions that night so we moved to a more protected anchorage next door at Cala Roig before hitting the sack. However we still experienced strong winds all night and dragged our anchor once before putting down more chain. Tony slept in the wheel house on anchor watch. The rest of us had a pretty sleepless night due to the wind, anchor and wave noise! We departed before sunrise for our final leg back to Denia in 25 – 30 knots of wind, looking forward to an exciting sail home. However on rounding the final point of the island we were hit by a large swell and wind right on the nose again! 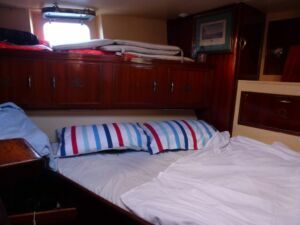 We attempted to sail in very lumpy seas for 4 – 5 hours before realising that we were not making much headway. 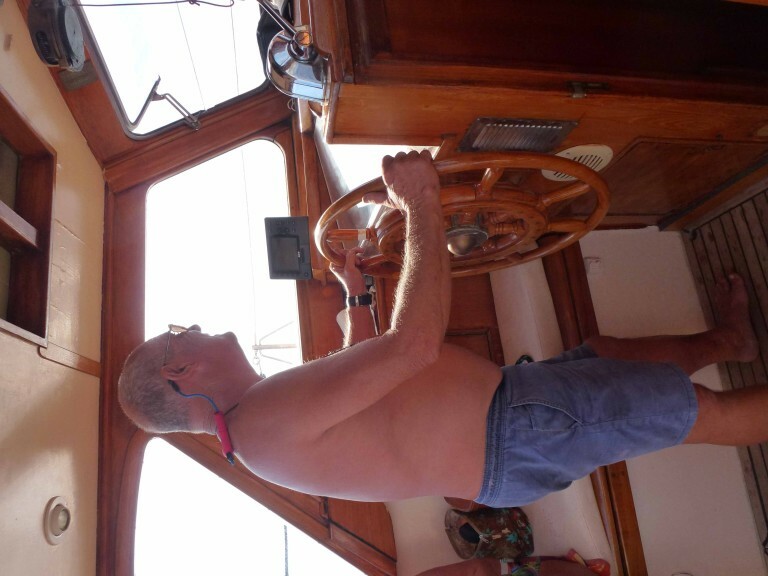 So, with half of the crew feeling seasick, and one messing up the deck!, we decided to furl the genoa and motor-sail back home. 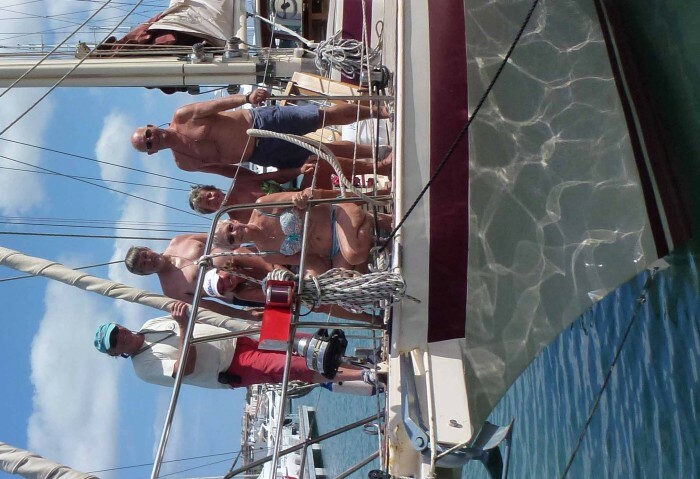 After a somewhat unpleasant (understatement: Gillian) 12+ hour crossing, we finally arrived back at Marina de Denia just before 2000 hours where we had some trouble tying up at our temporary mooring alongside the fuel jetty, due to the strong wind. 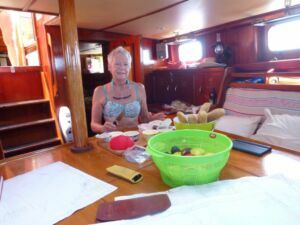 We decided to leave all post-cruise yacht cleaning and tidying work until the next morning and headed home, exhausted but happy! Thanks Tony and Julie for a great trip! Great blog – keeps the trip alive! Will need to check the log to see what has been left out!! So enjoyed your detailed report.and photographs, thank you. Wonderful sightings of the pods of dolphins… Cabrera really is a super unspoilt bay, & island. Was as there for 2 nights on TD earlier this year….